Rich pins are an SEO-focused aspect of Pinterest. Designed to spread brand awareness, rich pins contribute context to your posts. Using code, rich pins pull metadata from the website pages that they link to. 93% of people use Pinterest to plan purchases. Rich Pins provide leads with useful information about your products and services. App pins come with an install button to download apps directly from Pinterest. Recipe pins provide cooking information, ingredients, and serving sizes. Product pins offer real-time information on availability, pricing and where to purchase items. Article pins show authors, story descriptions, and headlines. For many companies, the most valuable rich pins will be product and article pins. Install Pinterest Rich Pins: Go to the “Rich Pin Validator” and enter a link to any page or blog on your site. Don’t link to the home page. Click the “validate” button: Once you click validate, you should get an approval message. Click on “apply now”: After applying, a pop up will appear with your sites HTML tags selected. Click on apply again: Once you’ve applied, wait for Pinterest to approve your application. Pinterest is a highly valuable social media platform. There are more than 2 billion monthly searches on Pinterest. The platform also drives 5% of all referral traffic. Rich pins are an opportunity to take full advantage of the benefits of Pinterest. Rich pins make your content stand out: The extra information attracts pinners and provides context for purchases. Rich pins are branded: They feature your logo and website name, driving brand awareness. Rich pins automatically update: They keep your leads informed about the availability of products. When you update information about your items, your pin updates too. Rich pins make your content more searchable: The extra information included allows you to appear for more keywords. Rich pins help your business look more professional: Insightful information about product features and price make a company more trustworthy. Rich pins are particularly useful for social selling. 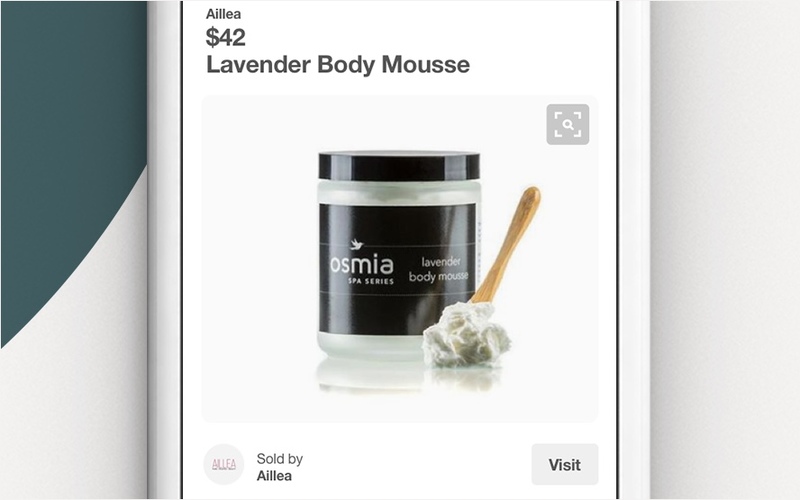 55% of Pinners use Pinterest to find and shop for products. Today’s customers prefer to plan their purchases carefully before spending money. Pinterest rich pins provide your clients with information to help them make informed decisions. Price information allows pinners to plan their purchase. Additionally, the presence of useful content improves the credibility of your brand.